Mom, I Was Bored. And then, I remembered that I had a post-it in my pocket. 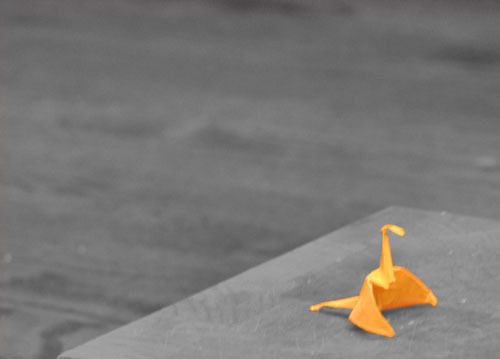 So, I made this little crane. Just a note. His big brother took this picture… and Photoshopped the black and white cut-out.